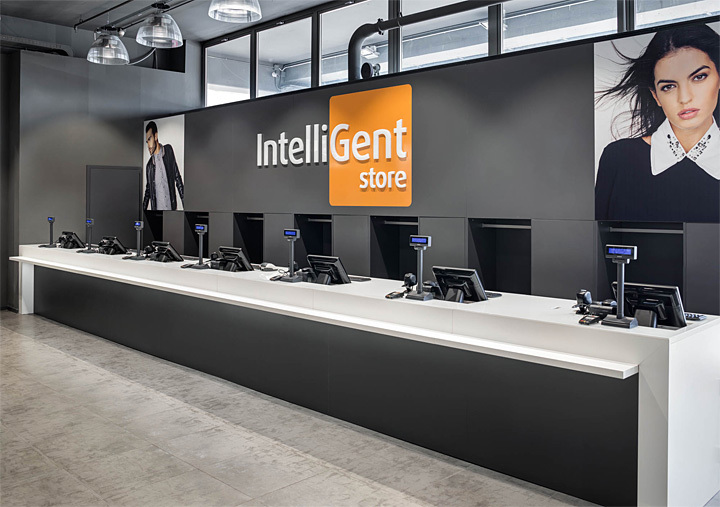 With 260 stores in Italy and 40 international stores, Piazza Italia is the first Italian fast fashion brand to launch a new sales format: the IntelliGent Store. 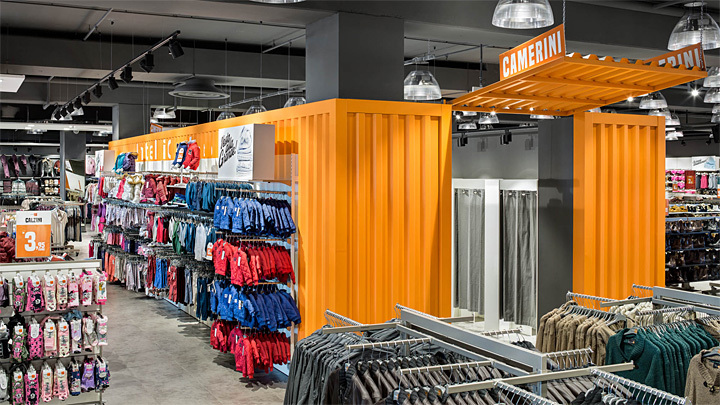 Collaborating for years with Piazza Italia in the development of its stores, Grottini Retail Environments has supported this brand once again on this important occasion. 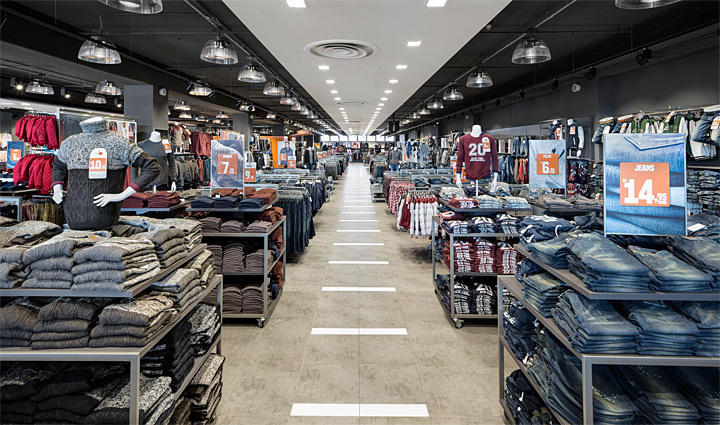 Recently inaugurated in Aprilia (50 km from Rome), this innovative store is a 2500 square meter space on one level, offering over 150,000 articles for men, women and children. Offering fashionable clothes at surprisingly affordable prices is the philosophy that guides this new concept. 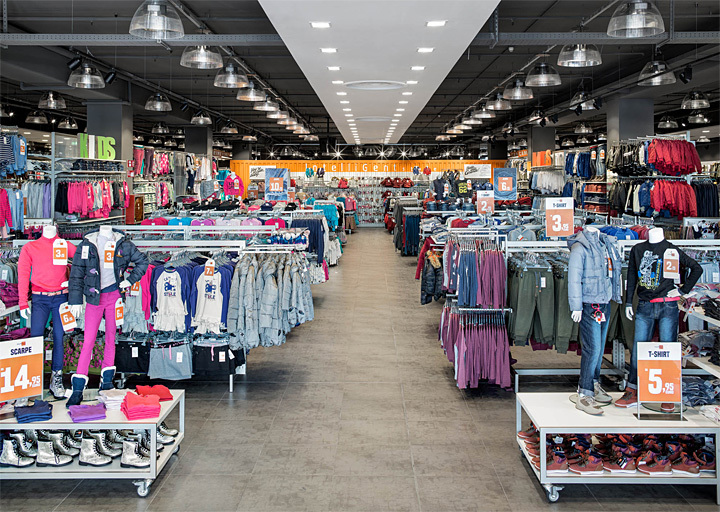 The new retail format foresees other IntelliGent Store openings in 2016. 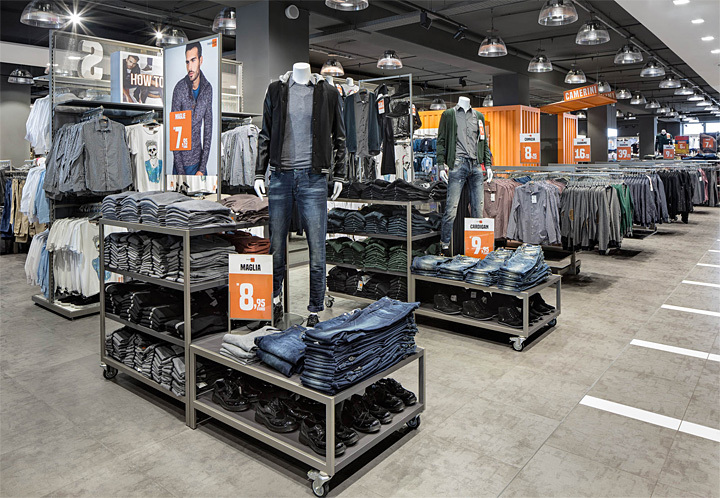 This innovative fast fashion sales format made in Italy is based on the lean logistics concept with the aim of speeding up purchases.